Volvo has a pretty nifty bit of tech that adds another dimension to their brand and demonstrates another benefit of their ‘Connected Cars’ brand pillar. Their latest brand innovation is ‘Roam Delivery’, a service that enables Volvo drivers to have packages delivered to their car, regardless of where they are. According to Volvo, Roam Delivery is a win-win for their customers and the delivery industry. Volvo believes that up to 60 per cent of online shoppers have problems receiving the goods they’ve ordered. Those missed connections add up to €1 billion ($AUD 1.53 billion) in re-delivery expenses. The idea is pretty simple and it builds on Volvo’s Connected Cars philosophy. 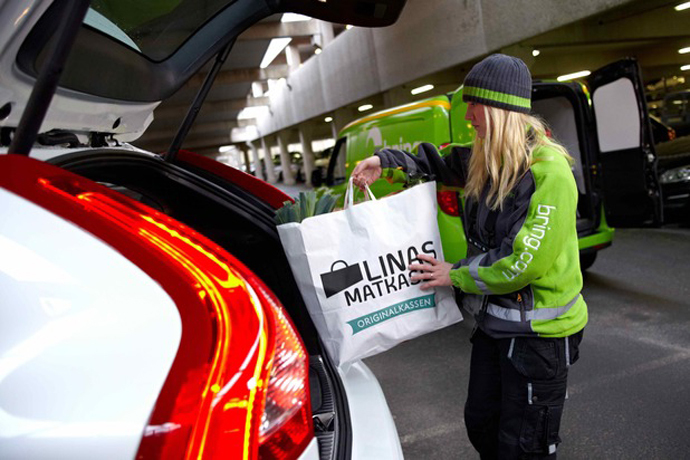 Through the use of the ‘Volvo on call’ app and ‘digital keys technology’, the delivery company can find and open your car and then deliver your parcel. If Volvo’s test research is anything to go by, this could be perceived as a valuable brand gesture. Of those who participated in the pilot Roam Delivery programme, 92 per cent “found it more convenient to receive deliveries to their car than at home”. The Volvo On Call app is promoted as ‘adding another dimension to car ownership’. As well as enabling remote access for parcel delivery, the app makes it possible to remotely heat or cool the car and see its position or fuel level via the mobile phone. But is this a clever marketing gimmick or could it backfire and potentially negatively impact the brand? With Volvo’s brand reputation strongly aligned to safety, you would hope they are carefully considering issues of trust and accountability. I couldn’t find any clarity about who is responsible for when things go wrong (for example, if the car is damaged or something goes missing or is perceived missing from inside the car). I’d love to hear your thoughts. Do you think this adds another valuable dimension to the Volvo brand – or potentially cars in general? This definitely will NOT work in India, as the trust factor is a major concern. Adding to it there are many other issues which you can think of when you look into the dynamics of India. Thanks for your feedback Jacob. I suspect it may cause trust issues in many cultures, not just in India. Volvo’s working hard to explore ideas – technological, social, societal – about the role a car plays in peoples lives, its impact, usefulness and uncomfortable questions around the place for a ‘car’ in the future. That we live and work in a world largely shaped by them (whether India or Islington), it’s high time we made cars do more for us, or demand manufacturers help us make more of them with these type of features. The car buying and owning model and its sales focus is an industry that hasn’t altered much since horses were towing them and the brands need to see beyond their own ideas about what constitutes a valuable feature (miles per gallon or smiles?). If we’re prepared to trust a business with very large sums of money for products that offer very limited utility (and that uselessly sit in drives and parking lots), it seems a very small leap of faith to extend the idea of a car being part of where we live (our ‘home’) – and so offer limited access to it (as we do at home). Plus we trust the brand to look after the car (when it’s being serviced or maintained), so I for one can see the appeal of this idea. I agree, it feels like not much has changed in cars for a long time. It is certainly going to be interesting to watch how these innovations evolve the role the car can play in our lives. Volvo are not alone, but they certainly behave like one of the leaders in this space. Investing for brand growth. Six tips to make a small brand big. The digital world is demanding of marketers.